Tambuti Lodge is a small, luxury lodge offering an excellent Big 5 safari in the Pilanesberg and Black Rhino Game Reserves in North-West. 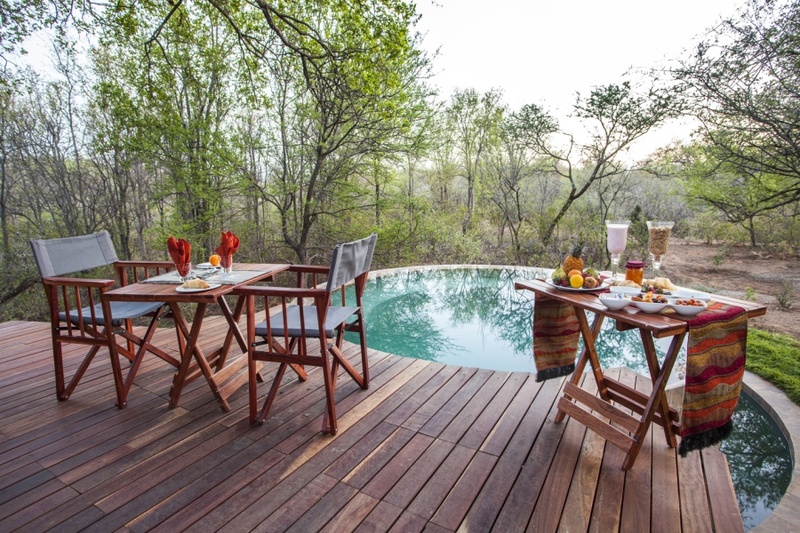 Five suites set amid Tambuti trees make elegant bush havens – they are spacious, and have private decks, deep baths, indoor and outdoor showers. The Honeymoon Suite offers the extra indulgence of a jacuzzi. Feast on bush cuisine served in the lodge and in the boma, or privately under the stars. Daily safaris bring sightings of a diversity of wildlife, and a great many birds that are hosted by the profusion of Tambuti trees. Safaris in Pilanesberg are particularly scenic, with a 1200 million-year-old volcano and lake at the centre of the reserve. There's currently no specials at Tambuti Lodge. Conferencing can be hosted at Tambuti Lodge on a limited scale.